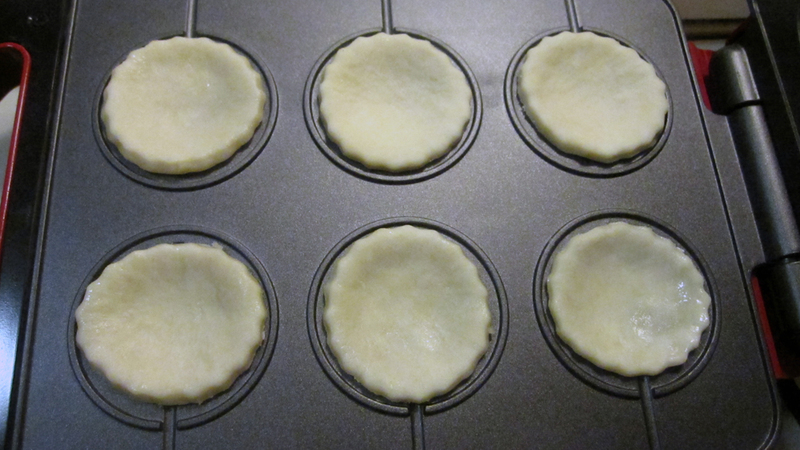 You are here: Home » The Babycakes Pie Pop Maker: Mini Pies or Mini Toas-Tites? 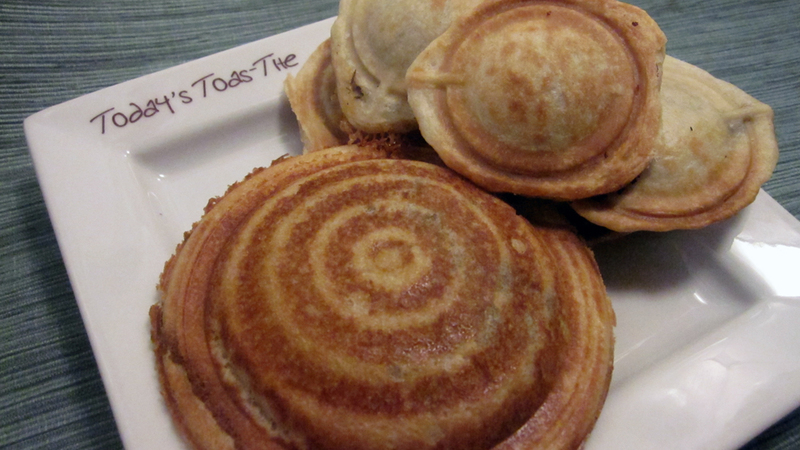 The Babycakes Pie Pop Maker: Mini Pies or Mini Toas-Tites? One day, I got an email from Sur La Table that they were having a sale. One of the items on sale caught my eye immediately. It was the Babycakes Pie Pop Maker. The manufacturer describes it as, “The Babycakes pie pop maker bakes sweet and savory bite size pies on a stick.” I say hold the stick. Give me a mini Toas-Tite. The machine itself is pretty much exactly how it looks in the pictures. 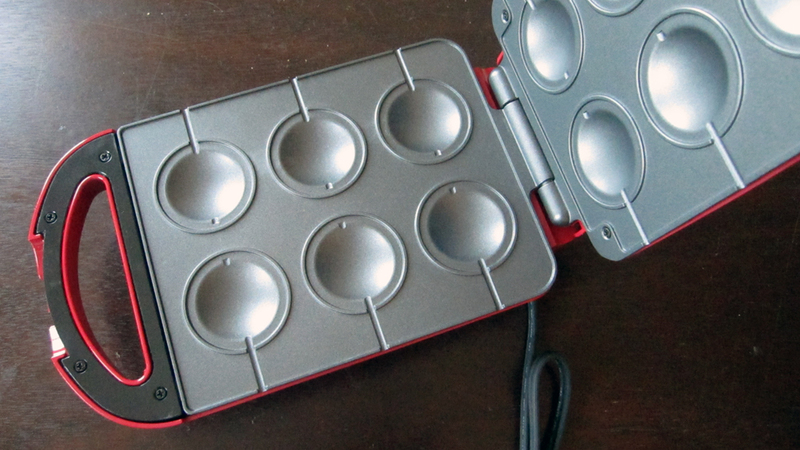 The inside is non-stick and all you do is plug it in, close the top, and wait until the “Ready” light turns on. 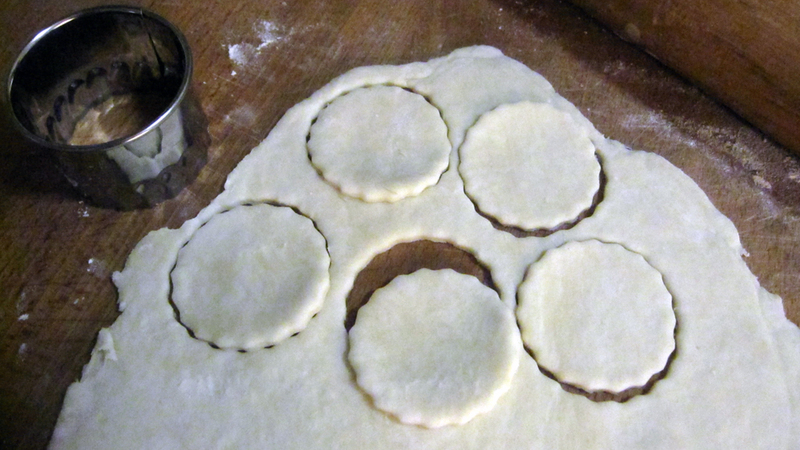 For our first Babycake recipe, we started by making their recipe for buttery pastry crusts. We also had to make a full size Toas-Tite along side to compare so we’ll go through that recipe here since the filling for both Babycakes and Toas-Tite was exactly the same – just mini-er. Start by preparing your Toas-Tite iron by buttering one side of each slices of bread and placing the bread into the pie iron, buttered side down. 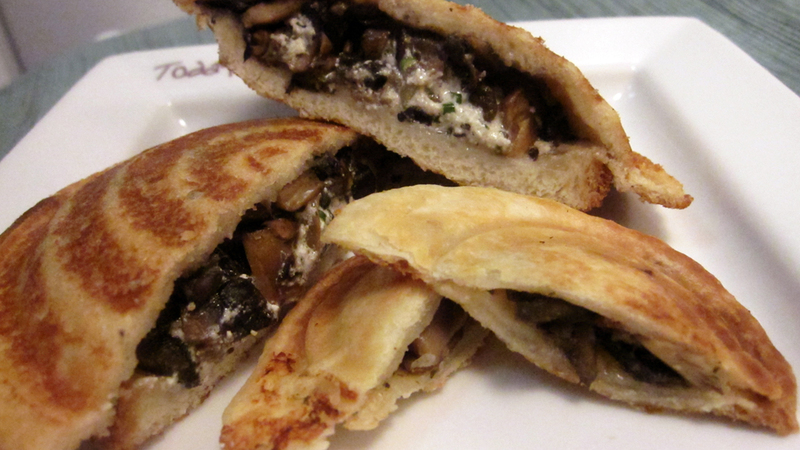 In a small skillet, heat a small amount of olive oil, just enough so your mushrooms won’t stick. We probably used about 1 teaspoon. Add the sliced mushrooms and saute until the mushrooms are cooked and have reduced in size. Strain any liquid from the mushrooms, place them in a bowl, pepper to taste, and set aside. Chop up the chives and mix them into the cheese. Use as many chives (or as few) depending on your taste preferences. 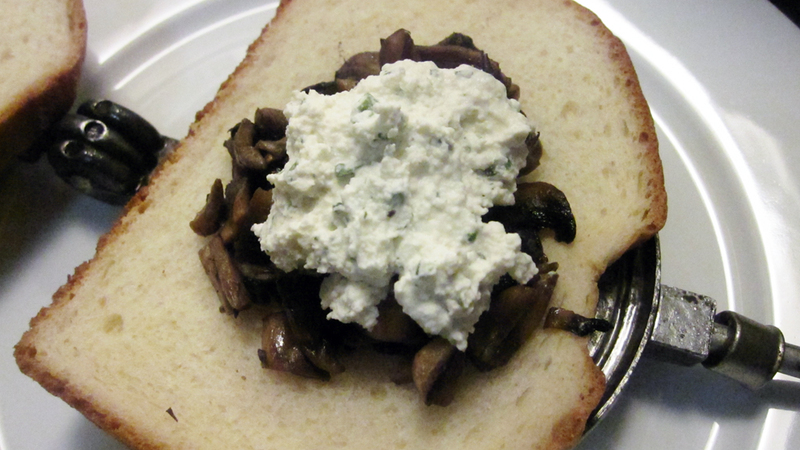 Place your sauteed mushrooms into the middle of one slice of bread and top with the cheese. Close the pie iron, trim the excess bread, and toast over medium-high heat for 4 to 6 minutes on either side or until toasted to your liking. Ta-da! Glorious Toas-Tite and mini Toas-Tite delights. As you can see, in the Babycake version, the crust squished a bit around the edges and there’s a demarcation where the stick was supposed to go but for all intents and purposes, they really are like pie-crust mini Toas-Tites. 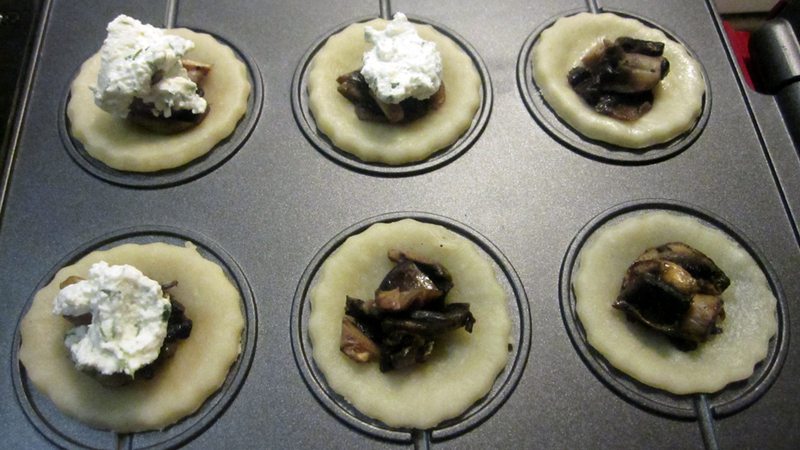 And as I’m a big fan of savory mushroom goodness, I found both totally delicious in their own way. So whether you’re going bite sized with the Babycakes or sandwich sized with the pie iron, get creative and enjoy! 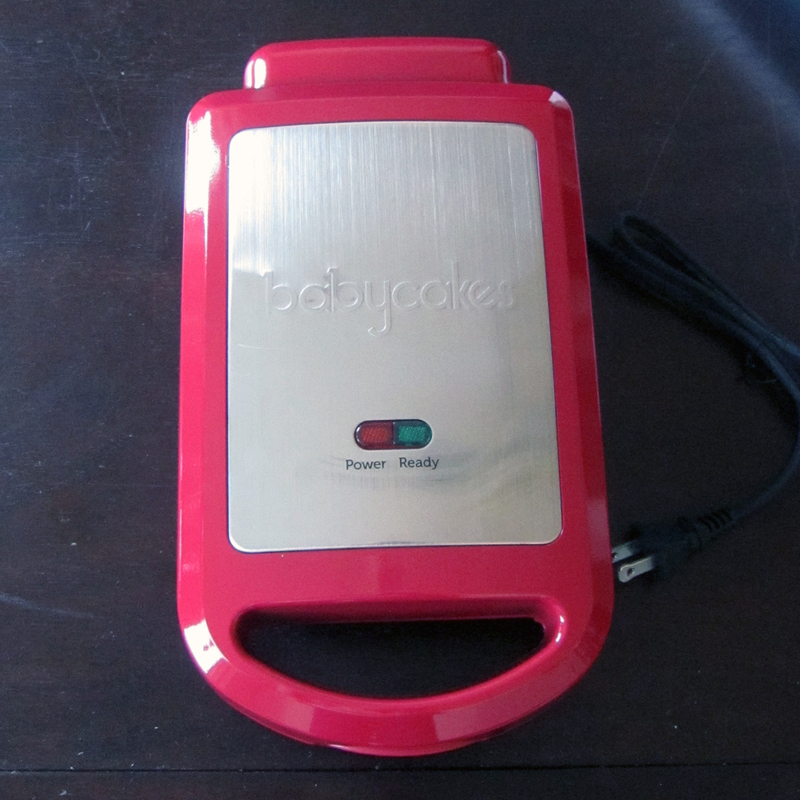 If you buy a baby cakes maker on amazon it’s currently $12.49 which is much less expensive than any original Toas-Tite. On ebay an original Toas-tite is priced anywhere from $15-$25 and makes a baby cakes maker the cheapest investment of money for this type of food fun. Unless you buy a replica which are the absolutely MOST expensive at $29.99.